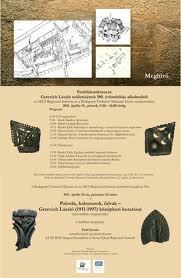 László Gerevich, one of the eminent Hungarian archaeologists of the Middle Ages, was born 100 years ago. To commemorate, the Budapest History Museum organized a conference and an exhibition about his career. The highlight of this career was the excavation of the medieval royal palace of Buda, which became possible after the destruction of World War II. Gerevich was able to uncover the lower lever of the entire medieval palace, bringing to light a number of highly important finds. In that period, he was the director of the Budapest History Museum, and later also the founder and first director of the Archaeological Institute of the Hungarian Academy of Sciences. Gerevich also excavated several other medieval sites, including the Cistercian Abbey of Pilis (see my recent post on the abbey). His English-language books include The Art of Buda and Pest in the Middle Ages and Towns in Medieval Hungary. If you read Hungarian, you can find more information on him here. You can read the program of today's conference by clicking on the image above. I will write another post on the exhibition once I get a chance to visit it. The Academic doctoral defense of Imre Takács (see my previous post) made me think about Villard de Honnecourt's trip to Hungary. 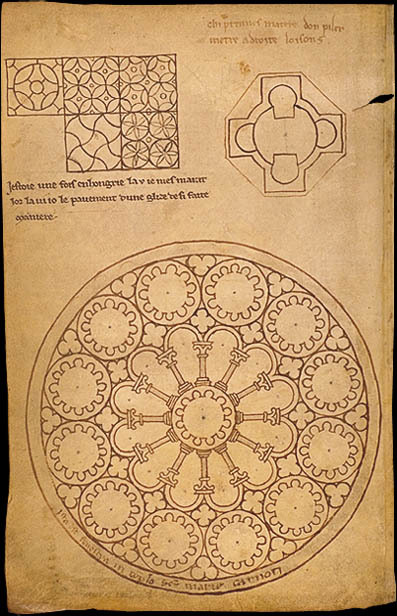 Takács's dissertation is about the early decades of the 13th century, when Hungary was one of the first areas outside Ile de France where French Gothic architectural and sculptural features appeared. The royal palace of Esztergom - especially the palace chapel - is a significant early Gothic building, built during the rule of King Béla III (1172-1196) next to the cathedral. The palace was not quite finished when in 1198 Béla's son, King Emeric handed it over to the archbishop of Esztergom - thus maybe the chapel was only finished after this date. Not Esztergom, but the royal abbey of Pilis is at the center of Imre Takács's dissertation. This Cistercian Abbey - located roughly between Esztergom and Buda in the Pilis hills - was founded by the king in 1184. In 1213, Queen Gertrude, the wife of Andrew II was murdered, and the queen was buried at Pilis Abbey, which - at least the eastern part - was surely completed by that time. At this period, a renewed impact of French Gothic (High Gothic, to be precise) can be detected in Hungary - especially at Pilis and at the Benedictine Abbey of Pannonhalma. 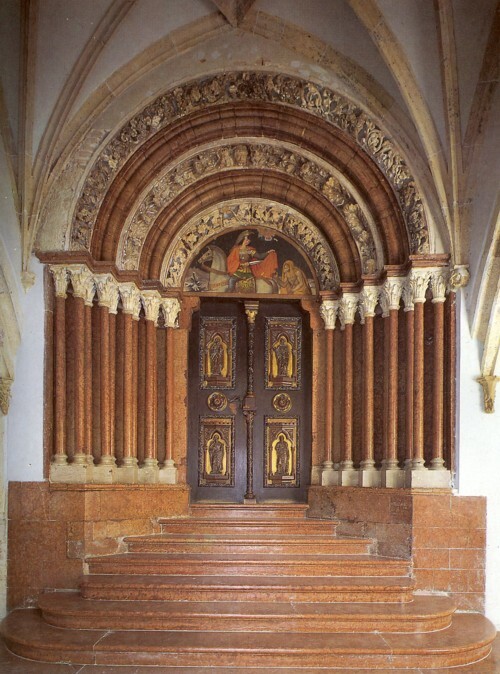 Crucial monuments include the tomb of Queen Gertrude and the famous Porta Speciosa at Pannonhalma, both dating from the 1220s. It is perhaps not coincidental that roughly at the same time, the famous Villard de Honnecourt visited Hungary. Just as we are not quite sure of his profession, it is similarly unclear what he did in Hungary or when exactly he visited. 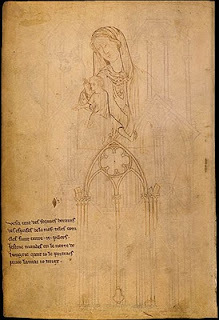 Evidence for his visit is included in his sketchbook: on fol. 10v, next to the drawing of an aisle window at Reims, Villard writes: "I had been sent into the land of Hungary when I drew it because I like it best." He also mentions on another folio the he "was once in Hungary, where [he] remained many days". Of all the things he saw there, he chose to draw a pavement, which he saw in a church - at a place he did not name. 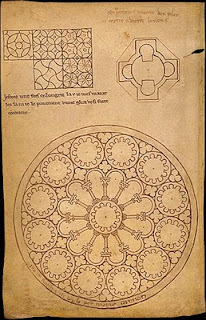 One of the pavement motifs drawn by Villard in Hungary is known from Pilis Abbey. 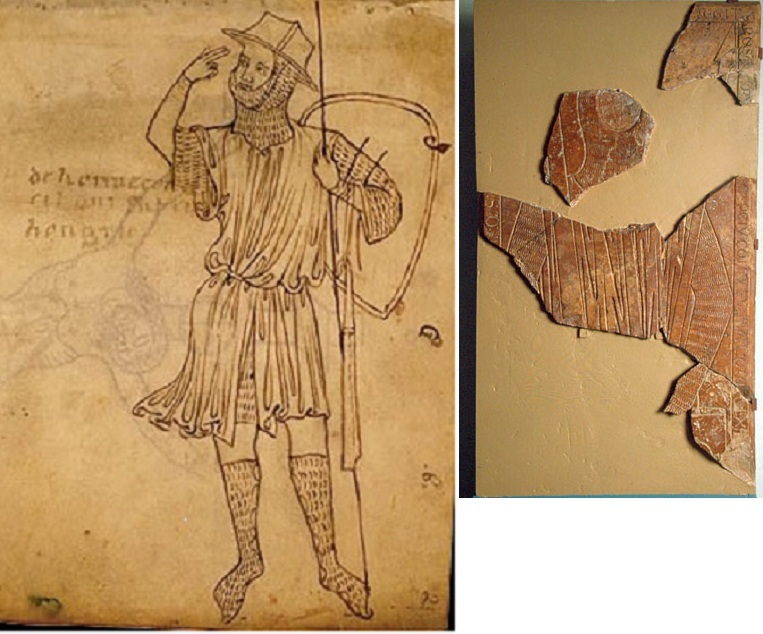 The tomb of Gertrude, as well as the fragmentary tomb slab of a knight is in the same style (the characteristic Muldenfaltenstil) as Villard's drawings - leading Gerevich to believe that these were designed by Villard. 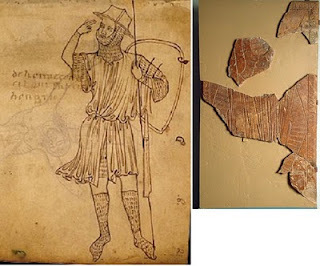 Mentioning these and similar comparisons, Imre Takács also proposes a hypothesis for the historical context of Villard's Hungarian trip (published first in a study: “The French Connection: On the Courtenay Family and Villard de Honnecourt Apropos of a 13th-Century Incised Slab from Pilis Abbey,” Künstlerische Wechselwirkungen in Mitteleuropa, ed. Jirí Fast and Markus Hörsch, Ostfildern, 2006, pp. 11-21.). After the murder of Queen Gertrude (of Andechs-Meran), King Andrew II married Yolande de Courtenay, and Imre Takács emphasizes the role of the Courtenay family in Hungary. They were also the lords of the area where Villard was from. Takács proposed that the red marble tomb slab from Pilis was that of Robert de Courtenay, Latin emperor of Constantinople (1221-1228).